From launching satellites to performing in the Sendai Jazz Festival, from sumo wrestling to cherry blossom viewing, Tohoku University’s campus is vibrant throughout the year. Sendai is a great place to study while experiencing the rich culture of northern Japan. Learn about the resources available to help you get the most out of your university experience. A place for international students and researchers to get support on a range of issues such as campus life, housing and healthcare. Computer labs, on-line learning platforms, email access and more. 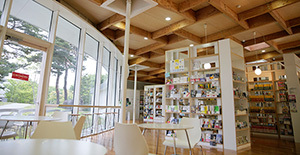 Tohoku University has a range of facilities that are open to the public. 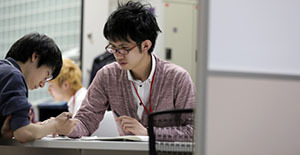 Student facilities are located on Tohoku University's four campuses in Katahira, Kawauchi, Aobayama, and Seiryo. Campus Bus is the free shuttle bus service for Tohoku University students and staff. The Student Friendship Association is a university-wide organization consisting of sports and cultural clubs.